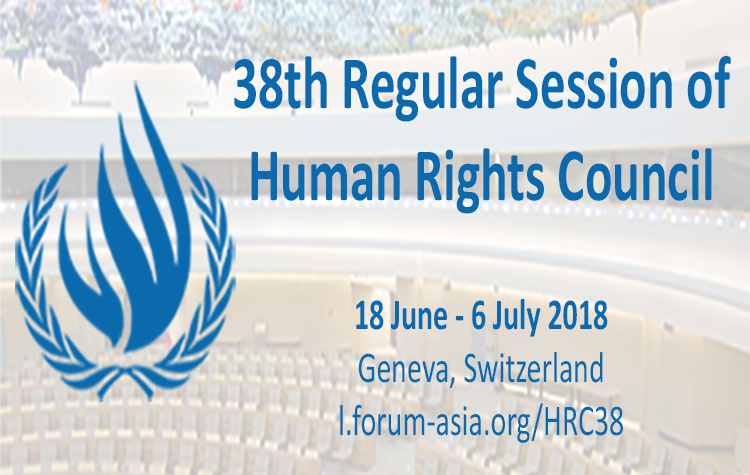 From 18 June to 6 July 2018, the 38th Regular Session of the UN Human Rights Council will take place in Geneva. As usual, FORUM-ASIA will conduct various side events, deliver oral and written statements, and issue letters and press releases. For updates on all that FORUM-ASIA does or is involved in during the #HRC38, follow our social media – Facebook and Twitter – or click here to find a complete overview.